電話： +84 909 200 200. Petro Express, Ham Nghi Road, District 1, Ho Chi Minh City. 200,000 VND. Greenlines, Ham Nghi Road, District 1, Ho Chi Minh City. 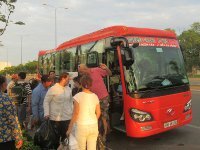 200,000 VND. 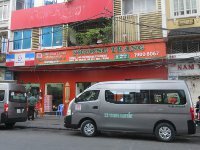 Vina Express, Ham Nghi Road, District 1, Ho Chi Minh City. 200,000 VND.